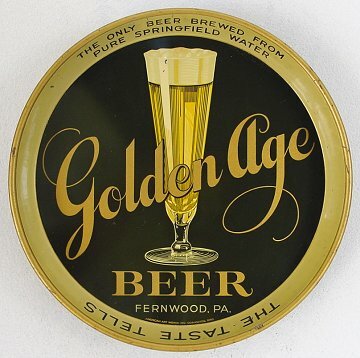 "The Only Beer Brewed From Pure Springfield Water"
Fernwood, Pennsylvania Comments: I think this is a very sharp tray. I really like the font and a clean black tray is always hard to beat. My friend Ruddy spoted this one for me in an Eastcoast show.